Herb Panzanella with Husk Cherries & Tomatoes. | Eat More Plants. 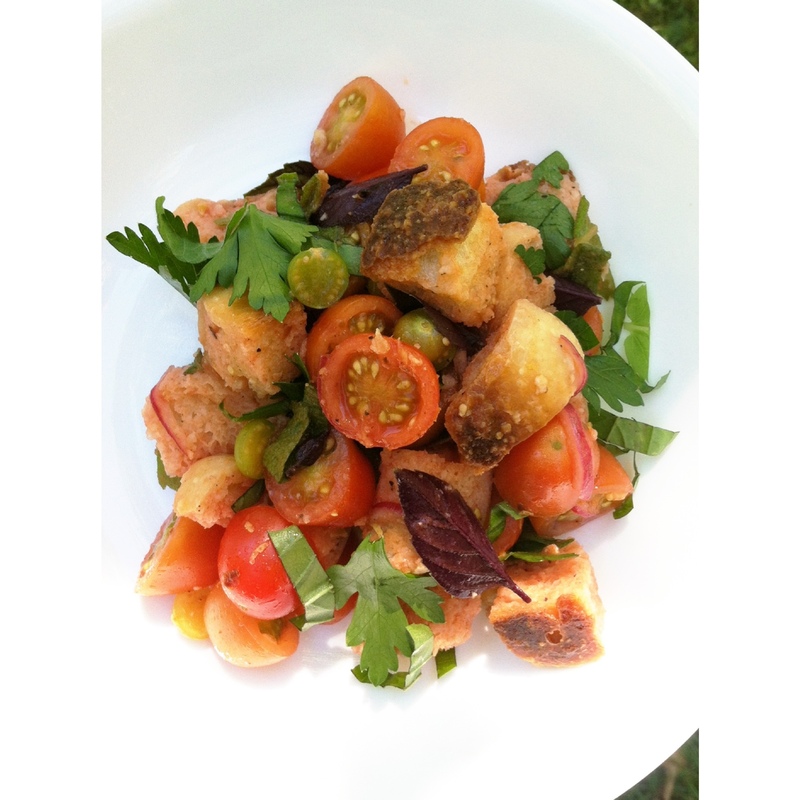 Herb Panzanella with Husk Cherries & Tomatoes. Still on the husk cherry thing…I’m loving these little beauties so much. I found this herb panzanella recipe from the always inspiring Martha Stewart. It couldn’t be any more perfect. It reminds me of being little at my Nana’s house with those ever familiar smells of garlic, tomato and fresh bread. Luckily I still have tons of fresh herbs growing outside and I put them to good use today. The fresh herbs are a vital part of this salad, don’t skimp! Put halved tomatoes, husk cherries and red onion into a large bowl. Toss with salt and pepper and 1 T of oil. Heat 2 T of oil in a large skillet over fairly low heat. Add in bread and toss to coat with the garlic and oil. Cook for a few minutes and then transfer mixture to a sheet pan. Bake for about 10-12 minutes until bread is toasted all over. Toss your toasty garlic bread into the bowl with the tomatoes. Add the lemon juice, tomato water (or broth and water mixed), remaining T of oil and vinegar. Mix so that the bread soaks up the liquid evenly. Add your fresh herbs. I like to chop my basil and mint if it’s too big for bite sized and leave everything else like the oregano and parsley whole. Salted Date Caramel & Raspberry Chia Jam Chocolate Cups. 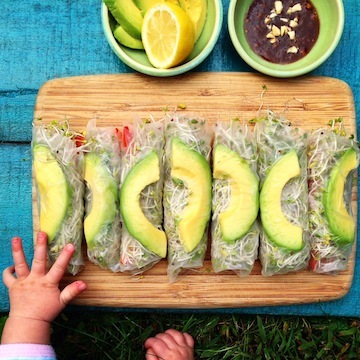 Lovely composition, simple flavors. Perfect for a quick repast.